GE Security is a solution provider for precision access control and detection. GE Security is proactive in offering solutions for intrusion detection and alarms, video surveillance, access controls, fiber optic data relay, explosives and illegal drug detection, and fire alarms. 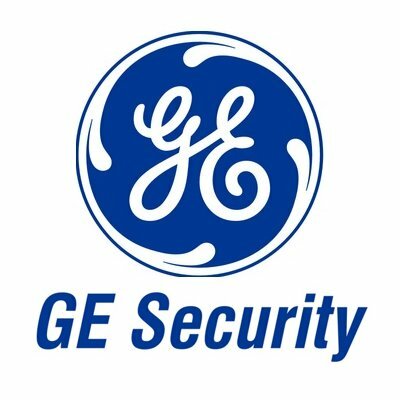 Today, GE Security is a division of UTC’s Fire and Security. Versatile GE Security solutions are designed to offer granular control of every vital element pertaining to the safety of the premises. Gamco is an eminent manufacturer of commercial and residential use washroom accessories. The use of solid brass and solid bronze makes Gamco products very durable and capable of delivering outstanding performance necessary for commercial scale operations. Using Gamco products is a superb experience of satisfaction as unmatched longevity of these products offers maximized economy of operations. Falcon Door Hardware offers a superb avenue to channelize excellent door handling and access control on commercial scale applications. Falcon is best known for its superb product line featuring exit systems, closers, and automatic operators along with doorknobs and locks. Falcon offers many unique solutions with its continuous research and development. Falcon understands the essentials of security and access control. Duravit AG is a name globally associated with the finest washroom accessories. Since 18717, Duravit has been offering a new perception to the industry with its first-class derivatives. Renowned designers like Philippe Starck, Sieger Design, EOOS, Phoenix Design, Frank Huster, Sergei Tchoban, and Matteo Thun are contributing to make gorgeous Duravit products. Duravit channelizes smooth and efficient function with its presence. Dolphin Components is the only manufacturer of low voltage products and offer them at amazing price. Dolphin has a seamless industry presence of over thirty-five years and it is committed to deliver the finest solutions in the industry to add perfection in various installation applications. Dolphin Components offers Cables, Connectors, Cable Ties, Cable Clamps and Clips, Adapters, Keystone Jacks and Inserts, Inline Couplers, Patch Panels and Cords, and many more tools for CAT-5e and CAT-6 connections. Ditek Corporation offers complete protection from power surge related problems with precision audio-video and many other access control and surveillance systems. Ditek Corporation is a Florida based manufacturer with ISO 9001:2000 certified manufacturing facility. Ditek offers products like Camera Protection Units, Fixed Cams, Card Readers, Transient Voltage Surge Protectors, Jacks, Connectors, and Power Protection Units. Ditek products are calibrated with precision to respond in milliseconds and save precious electronic components and systems. Deltrex offers an amazing collection of door hardware and security products. In fact, Deltrex is known for its emergency exit switches. These fine products are very suitable for use in various environments with sophisticated access control systems. Deltrex offers a strong product line featuring key switches, timers, Maglocks, push buttons, emergency door release switches, SPDT switches, momentary switches, and rectifiers. Danze offers playful and progressive solutions to improve the lifestyle accents. Danze began its operations in 2001 and within a year, it launched “Opulence” the collection of exclusive washroom accessories. The world of Danze has many seamless avenues to channelize thoughts to their best levels. Each Danze product is carefully crafted and it becomes an expression of awesome creativity. Corby Industries offers a fine print for the state of the security and access control solutions suitable to for various commercial scale applications. Corby pioneered the digital keypad in 1972 offering an industry breakthrough. Versatile Corby products and solutions are designed with due consideration of end user requirements and therefore, each of these products delivers fine control with multiple layering of security. Continental Instruments has been engaged in delivering state of the art security solutions. It has served many Fortune 500 Companies since its inception in 1961. Continental Instruments offers multidimensional solutions to improve security and access control for commercial scale applications. Solutions by Continental Instruments are designed with sophistication and they offer an edge over control of fine grain priorities, making these precision access control systems work in a seamless manner.